BPEL is fast becoming the most widely-adopted standard for business processes involving web services; however BPEL is geared mainly at the higher level processes and is not well suited for the lightweight, short-lived “micro-processes” that share the same service space. Such processes require the advantages of interoperability and asynchronicity offered by an SOA approach but at a more granular logical level. This paper details a way to use a declarative approach to define the micro-processes that occur in the services called by an SOA based application. 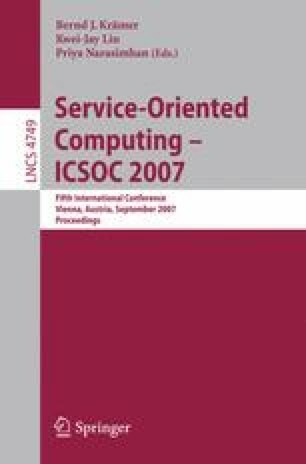 Using the context of a global call center workflow application framework named CCF, for Custom Call Flows, this paper describes how micro-processes (call flows) can be defined, and how declaratively defined rules can be used to integrate these micro-processes with other services to build a flexible service system.